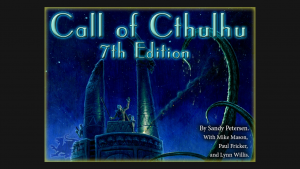 Chaosium’s Cult of Chaos Convention Scenario Competition is an opportunity for Keepers and players of Call of Cthulhu to try their hand at writing a scenario for the famed Lovecraftian RPG. Leigh and Martin from Games vs Play recently playtested Mark Platt’s CofC scenario set in Communist-era East Germany, one of the entries to make it through the first round of the competition. Afterwards we asked Mark a few questions about how to write a CofC scenario, where he got the idea for his adventure from, and also his personal feelings about a certain type of fungi from Yuggoth. GvP: So we’re here with Mark Platt, who has just led us through a playtest of his new scenario for Call of Cthulhu, which is part of Chaosium’s Cult of Chaos Convention Scenario Competition. Congratulations for getting into the first round of that, Mark. 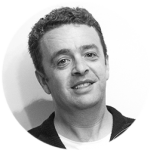 Mark Platt: Thank you very much. GvP: Can you tell us a bit about the competition? Mark: I think Leigh might have posted about it on the Call of Cthulhu Melbourne Facebook group. And I thought, “Do I want to apply? Do I want to get into this competition? Yeah, sure, why not? I’ll give being a writer a go. What’s the worst that could happen?” I didn’t expect to get in at all, I thought there’d be a lot more experienced Keepers than I am who’ve been writing their scenarios since, like, the ‘80s, who would all get in. But no, for some reason they really liked my pitch, so they chose mine to be one of the people to go into the next round. GvP: So this first round of the competition, what does that entail? Mark: Basically I will write a full-length scenario, including the handouts and player sheets, all the stats, and submit it to the guys at Chaosium. They will then judge it, see whether they like it or not. GvP: And then possibly the next round. GvP: Great, good luck with it. Without giving out any spoilers, what’s your scenario about? GvP: It’s a very atmospheric adventure. The setting comes across really well, and it’s a lot different to many of the more standard Call of Cthulhu settings, which are usually 1920s or modern day. Where did the idea come from then, for this particular scenario? Mark: I watched a movie, it was called Goodbye Lenin. 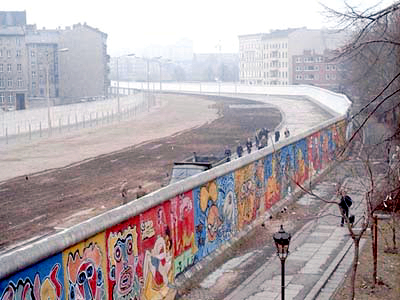 It was about a teenager in the late ‘80s in East Germany, about the time of the collapse of the Berlin Wall [pictured left as it looked in 1986], and his mum goes into a coma as a result of a stroke. While she’s in the coma the Berlin Wall falls, the Soviet Union begins to collapse, and when she comes out of the coma a doctor tells her son, “Hey look, your mum could have another stroke any moment if there’s any sort of shock. If anything bad happens don’t tell her, try to keep her as stable as possible.” She doesn’t know about the collapse of the country, and she’s quite a fervent Communist, and so he thinks, “My god, if I tell her she’ll have another stroke.” So he tries to maintain the illusion of the country still being around, like getting all the old products from the bin and putting them in the cupboard … I really like that movie, and I was really interested in East Germany, I watched some documentaries, and that kind of inspired me with the setting. GvP: When you’re writing a scenario, what are some of the important things for you to observe? Mark: An important thing for me probably would be to provide the players with an experience where they are out of their comfort zone, I would say. Not only in the setting, but in a dangerous situation. My scenario has a bit of a tense atmosphere, you’re uncomfortable, you’re looking over your shoulder. That type of thing. GvP: We’ve been looking over the scenario itself [after playtesting it] – what has been the most challenging thing writing specifically a Call of Cthulhu scenario? Mark: Probably the investigation aspect of it. You have to be able to lay the clues down right, be sure that the players are able to get the clues, make sure they follow them to their conclusion and make sure that the NPCs – the enemies of the players – aren’t just sitting around in the end dungeon, to use D&D terminology, waiting for the players to come along and say, “Aha! So you have found me – now we shall fight!” You have to have things going on that might throw the players off, that type of stuff. GvP: What fascinates you about Call of Cthulhu in general that pushed you along to the writing side of things? Mark: I love the idea of this alternate world where all these Elder Gods exist. And so I wonder, what happens in a post-1930s world? Because Lovecraft’s stuff was all ‘20s and ‘30s. 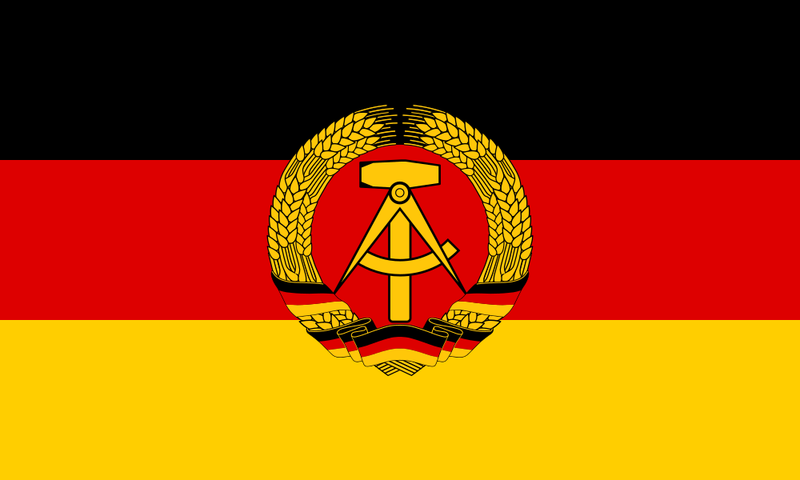 With the advancement of time, what happened in World War II with the Mythos? What can I write about set on the Eastern Front of Russia? How was the Mythos involved in that? What was Cthulhu doing when they were nuking the Pacific during the 1950s thermonuclear tests? Stuff like that. I wanted to write about things that aren’t touched upon by all the regular scenarios and books involved with Lovecraft. GvP: So what’s been the hardest thing you encountered while developing the story? 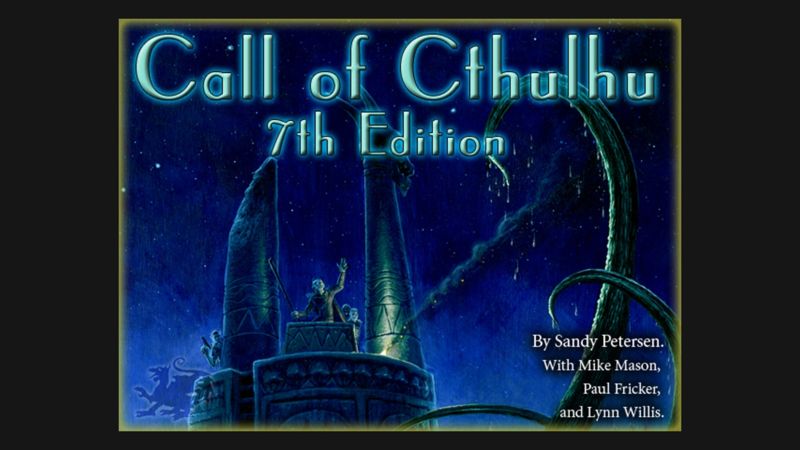 Mark: Well, I received this “How to write a Call of Cthulhu Scenario” document from Chaosium. It was basically guidelines on how to outline your scenario, make sure it’s formatted right etc. Taking my completely unformatted notes which I’d just been jotting down and trying to configure them into this format of how a scenario should read was probably the toughest thing. GvP: If you were to give advice to other writers or Keepers who wanted to develop their own adventures, what would be the most important thing you would tell them? Mark: I would say try to provide an experience where it’s something that old players and new players will enjoy playing. So, if it’s just a romp through the Arkham countryside encountering classic enemies like shoggoths and that type of thing, I don’t think that your experienced, veteran Call of Cthulhu player will be that interested. But if you’re in somewhere a little more exotic, whether it’s East Germany or whether you’re in Russia or somewhere like that, I think that provides a great benefit to your scenario. I’m a big fan of exotic settings, if you haven’t been able to tell! [laughs] I like exotic settings a lot. GvP: Ok thanks Mark, we’re nearly at the end of the interview now. I guess our final question would be, if a Mi-go approached you and offered to take your brain out of your body and put it into a canister to fly you to the Pluto kind of area? Maybe you’re with me on this one, I’m talking about Yuggoth here … would you accept? Mark: Nah, because they could just use my brain for fuel for a machine or something! [all laugh] That’s what they do sometimes, they use human brains to power their guns or whatever. No way. I’m not signing up for that scam. Picture credits: Call of Cthulhu 7th Ed. 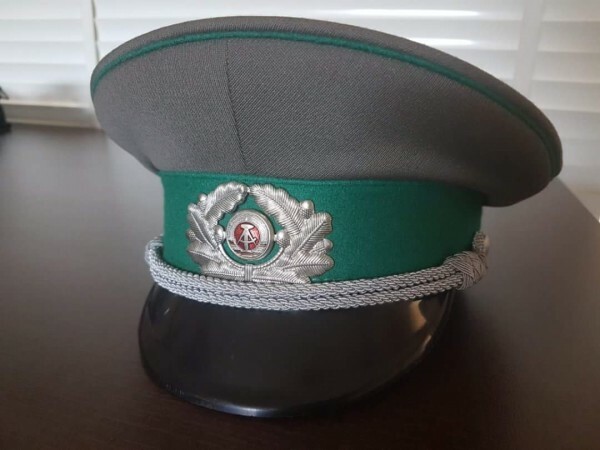 and Chaosium logo thanks to Chaosium; Berlin Wall and East German flag images sourced from Wikipedia; photo of East German Border Guard cap thanks to Mark Platt. The second round winners of the Cult of Chaos Convention Scenario Competition will be announced later in 2017. For more details go to the Chaosium website. To find out more about the latest reviews, stories and other cool things in the world of games, like Games vs Play on Facebook. And remember – if you’re game, we’ll play!